Churton Park FairChurton Park FairNothing to do on Saturday? Head along to Churton Park Kindergarten fair. Pasifika Fono - Save the DatePasifika Fono - Save the DateDon't miss out on your opportunity to attend an exciting, dynamic, and innovative event! NZEI Te Riu Roa's Pasifika Fono is a biennial event attracting hundreds of educators. Individual Email AddressesIndividual Email AddressesDid you know you had an individual email address? Ever wondered how to access it? You will find everything you need to know here. We celebrate our inspiring leader Mandy as she receives her Local Hero Award and we welcome the festive season! There is also some really important information regarding Infocare and other finance year end requirements. Please make sure you have a good read of this information and take note of the year end dates. As part of the 2018 Kiwibank New Zealander of the Year Awards, the 39 winners of the Local Heroes category were presented with their awards on Monday night at a special medal presentation ceremony held at the Parliament Buildings in Wellington. Our very own Mandy received an award for her tireless work with children over many years as a teacher and as CEO of our Kindergarten Association. The award particularly recognised Mandy for her leadership around responding to the needs of local communities, including the YMen initiative. Well done Mandy, we are all so proud of you! for the Etu Ao children's Christmas party. tree. 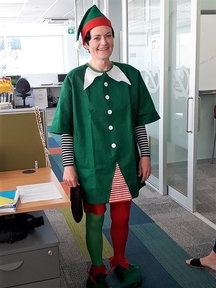 We reckon she makes a great elf! This is to update you that Soreen Scahill will be leaving the Senior Teacher position that she has been filling on a fixed term basis, and taking up the role of relieving Head Teacher at Trentham Kindergarten in Term 1 2018. This will enable her to be closer to her young family. Soreen will also be continuing to coordinate the Learning Support Project that is taking place around the region. Therefore, she will continue to share her wealth of knowledge in the Head Teacher role, and her expertise in supporting teachers working with children with specific learning needs. Although we are sorry to see Soreen leave the Senior Teacher team, we know she’ll do a great job at Trentham. We’ll keep you updated about who will be taking up the Senior Teacher role. Pene Pokoati from Brian Webb Kindergarten has been awarded a scholarship from NZEI. This scholarship is for support staff and early childhood members. It is available to enhance skills and knowledge within the workplace and in education generally. Pene is using the scholarship to carry out a small scale research project exploring factors that influence Pasifika ECE teachers participation in professional networks and leadership. The team at Brian Webb are excited to celebrate this achievement with Pene and look forward to seeing the fruits of this work. Brian Webb Kindergarten is turning 50 and are having an anniversary celebration. The teaching team and families invite those interested to join them for this auspicious occasion. 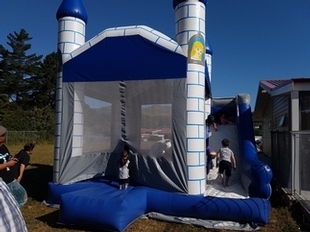 It will take place on Wednesday 13th December at the Kindergarten, 28 Victory Crescent, Tawa fom 5.00pm until 7.00pm. Katoa Kindergarten recently uploaded some video clips to their Facebook page. You can view them here. This video was made up of a small series of clips taken of our tamariki as they were learning through their play. The clips were put together using iMovie. Microsoft Windows Movie Maker or Movavi Video Editor 14 (at a cost) would probably perform the same task. The short video clip was then uploaded directly from the Mac to the Facebook place holder on the kindergarten Facebook page. To do this, go to your kindergarten page. At the top left of the photo on your page is a small white camera icon which changes to Change Cover when you hover over it. Click that, and then scroll down to Upload Photo/Video. It takes a short time before your video is uploaded for the world to see. Have fun! 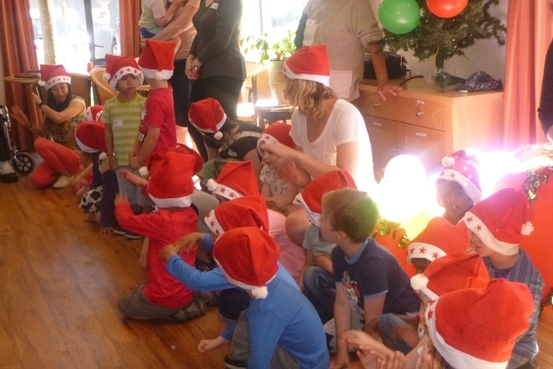 Tamariki at Campbell Kindergarten visited the residents at Huntleigh Rest Home in Karori recently. The Kindergarten has built a reciprocal relationship with Huntleigh Rest Home through termly and annual visits over the last 10 years. To return their aroha and share the spirit of Christmas, we visited and performed a Christmas concert for the residents. It was a good opportunity for the tamariki to reinforce the concept of learning through the community of learning. 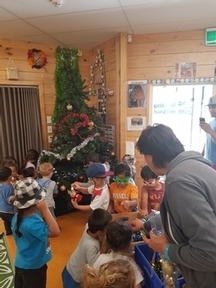 Last Friday we had our Etu Ao Christmas Celebration at Nuanua kindergarten. It was a fabulous night with around 200 people enjoying the sunshine, BBQ, fish and chips, ice blocks, bouncy castles and face painting. It was great to see a lot of our new families who have joined our service this year as well as catch up with those who have been with us over the last 5! A big thank you to our TONI educators who do such an amazing job in caring for and educating the 150 children that are currently enrolled with us. 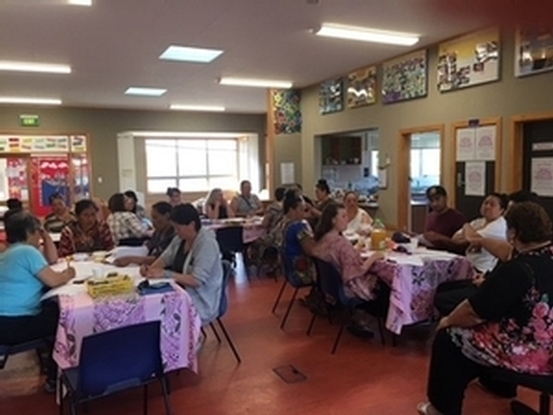 At the beginning of this year a new PLD cluster group was established to encourage better services for Pasifika children with additional learning needs, and greater use of existing services. 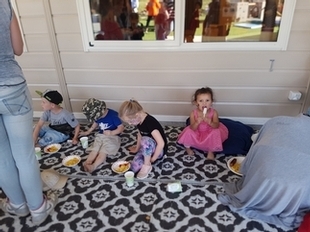 The cluster group has been initiated by Whanau Manaaki Kindergartens and involves families, early childhood services including local Aoga Amata, kindergarten teachers, schools and Ministry of Education staff. 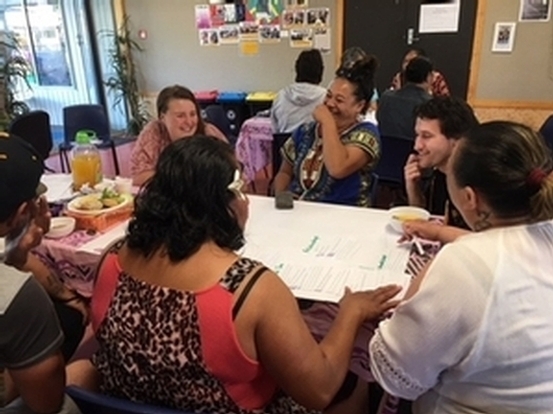 Almost fifty people attended the first meeting of the cluster group in Porirua, and parents spoke passionately about the issues and hurdles they faced getting support for their children. Teachers spoke about as pasifika teachers what the complexities are for them and what would support their learning in this area. Pasifika children are less likely to access these services than other children, and when they do, the services may not be what they need. Pasifika families say there are virtually no people from a Pacific background working in this area, and those they deal with can be out of step with their family values. This places even more importance on our Pasifika teachers to feel confident in this area where they play an important bridging role with families and services especially being able to talk in the families own language. The fono this year have focused on providing PLD for both parents and teachers on specific foci that each group have identified. The strength of the fono is the parents and teachers learning together so multiple perspectives guide the discussions. 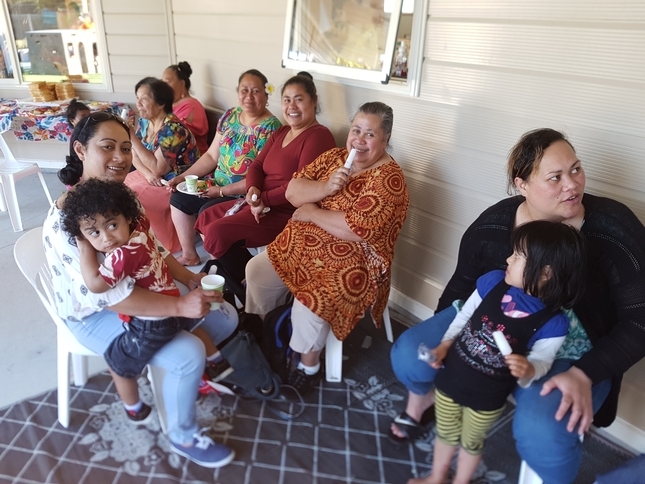 We have informal attendance of Pasifika local church ministers, primary school teachers, Ministry of Education staff, Learning Support Staff and ECE teachers from Aoga Amata – who pop in and out of the different fono knowing they can attend when it suits. These fono will continue next year as the learning momentum and commitment to participating is very successful. Some photos of our last fono held in the end of November. It’s that time of year again when we have to close off Infocare for the end of month and term (and year!). For Full Day (Johnsonville, Owhiro Bay, Matariki, Kahurangi, Toru Fetu, Nuanua, Te Timatanga Hou, Tai Tamariki) and Full Year (Greytown, Bellevue & Tui Park) kindergartens that are open until Friday, the above Infocare tasks should be completed by 3pm on Friday 22 December (your last day of term). If your support staff are unavailable to work on the days above can you please ensure arrangements are in place so that this deadline is met – this may mean that these tasks need to be completed by Teaching staff before the cut off. Please ensure that regular suppliers to your kindergartens are made aware of these payment timeframes. Also, we’d encourage you to get all your December invoices emailed in prior to 20 December so we can arrange prompt payment for you. During the coming weeks all requests for urgent payments should continue to be emailed to accounts@wmkindergartens.org.nz. Please ensure that there is little or no cash held at your kindergarten over the Christmas break. If you could aim to bank all petty cash and other receipts before Friday 15 December this will allow our Finance team to contact you with any queries they have before the end of the term. Can you also update Infocare with details of all deposits made. Head Teachers will need to ensure that their support staff complete all invoicing for the last week of Term 4 by Wednesday 20 December (Friday 22 December for All Day and Full Year kindergartens). Please note that this will probably mean preparing invoices in advance for some children. Kindergarten accounts for the financial year to 30 November 2017 will be emailed to kindergartens tomorrow. Accounts for the financial year to 31 December 2017 will be circulated on Wednesday 24 January 2018. As always your kindergarten accounts should be passed on to your Treasurers and Committees as appropriate. Details of Infocare Lock Dates for 2018 will be circulated in the new year. Plimmerton Kindergarten have this book shelf and table for sale. $70 or near offer each. You must be able to pick up. Please contact the team at Plimmerton Kindergarten if you are interested in purchasing either of these items.